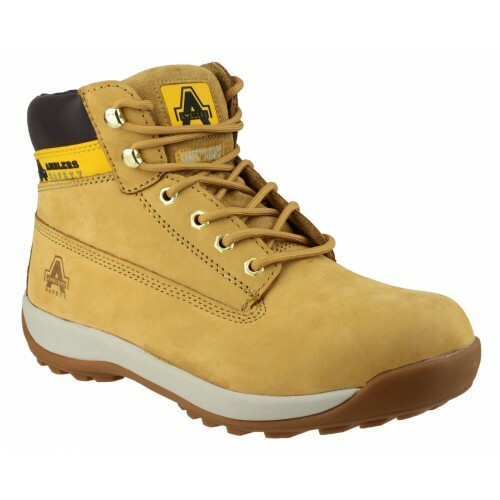 Unisex honey coloured boot. Toe protection tested to 200 joules impact. Steel midsole protection to 1100 Newtons. Rubber/Phylon sole. 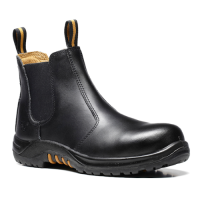 Hardwearing nubuck leather upper. 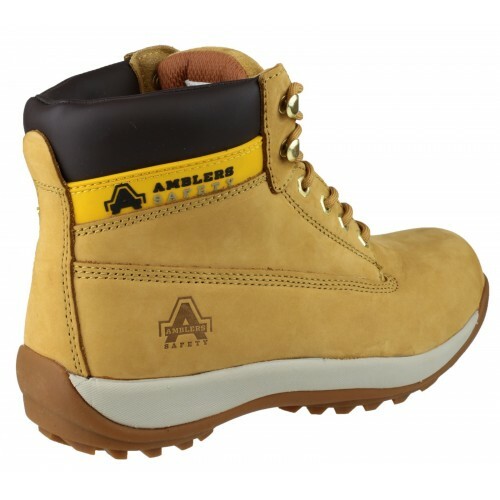 Lace-up front with four eyelets and upper speed lacing hooks. Padded collar and tongue. Passes SRA slip resistant standards.